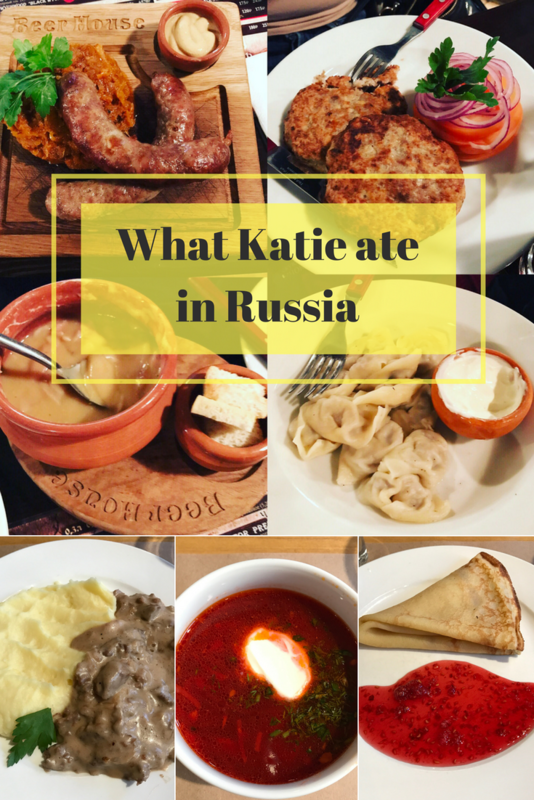 What Katie ate in Russia - What's Katie Doing? 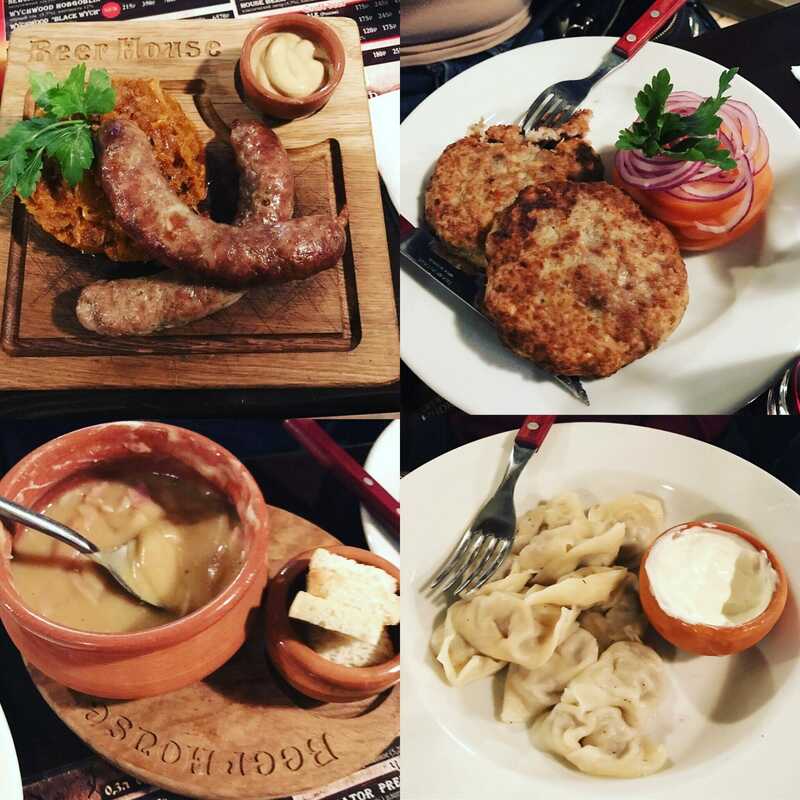 So I didn’t go to Russia just to eat – but when in Rome…. 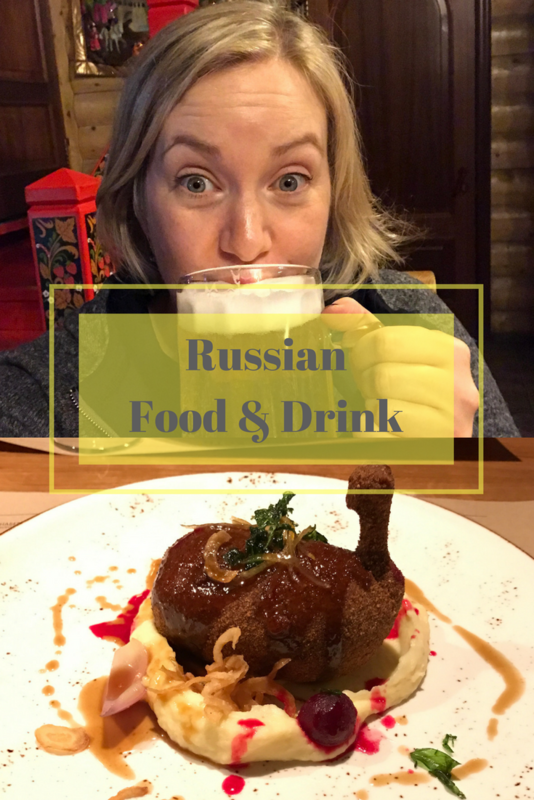 so I ate and drank like a Russian!! Why not pin me for later?! I’ll get around to the eating part later. As it was New Year’s we also stocked up on bubbly to drink in the traditional Russian way. Apparently you have to open the bottle on the first stroke of midnight, pour and drink your glass before the last stroke of midnight. 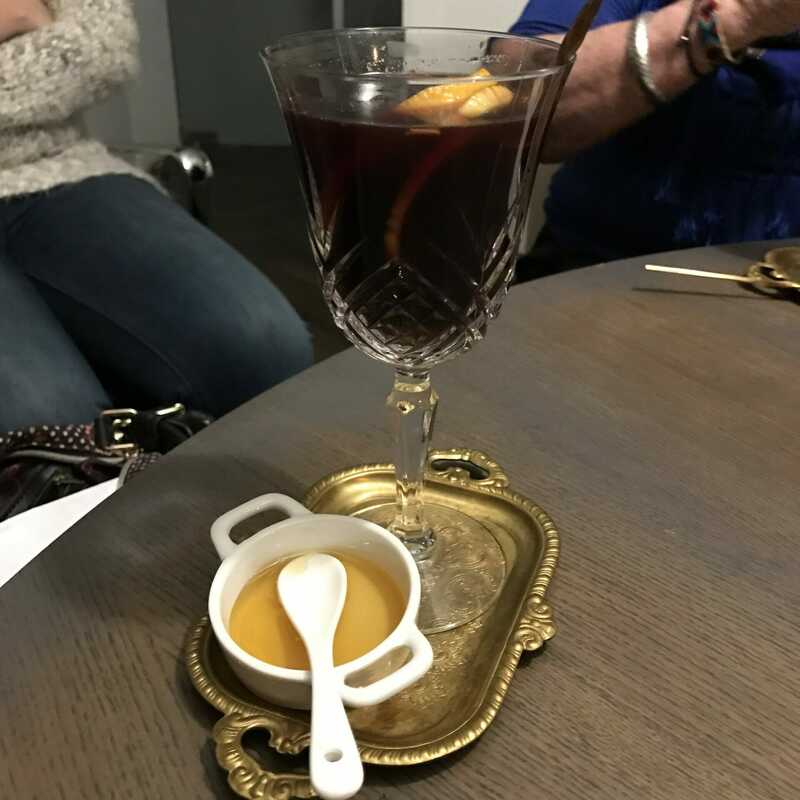 There is also a part about writing down a wish on a bit of paper, burning the wish and adding the ashes to your glass as you drink… but we didn’t want to play with fire! 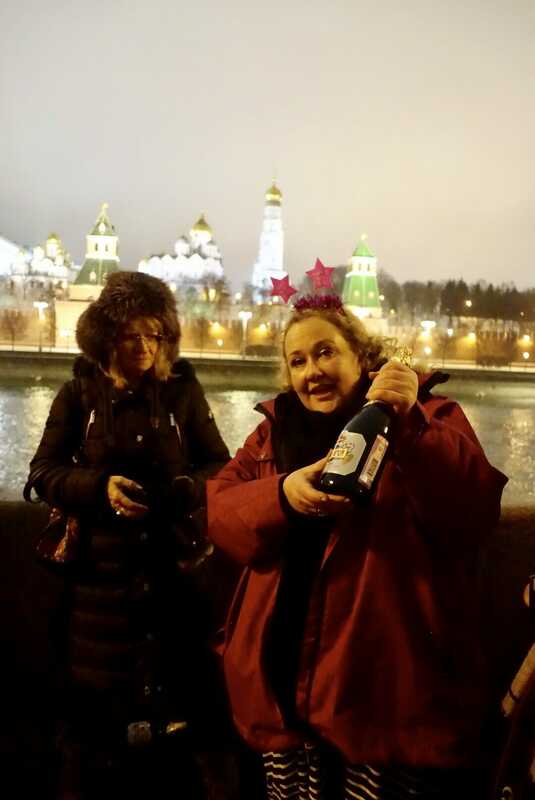 New Year’s Eve opposite the Kremlin in style! 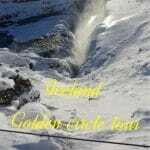 Russia was a new country for me (number 56), so as has become my custom the first new beer was to be celebrated! 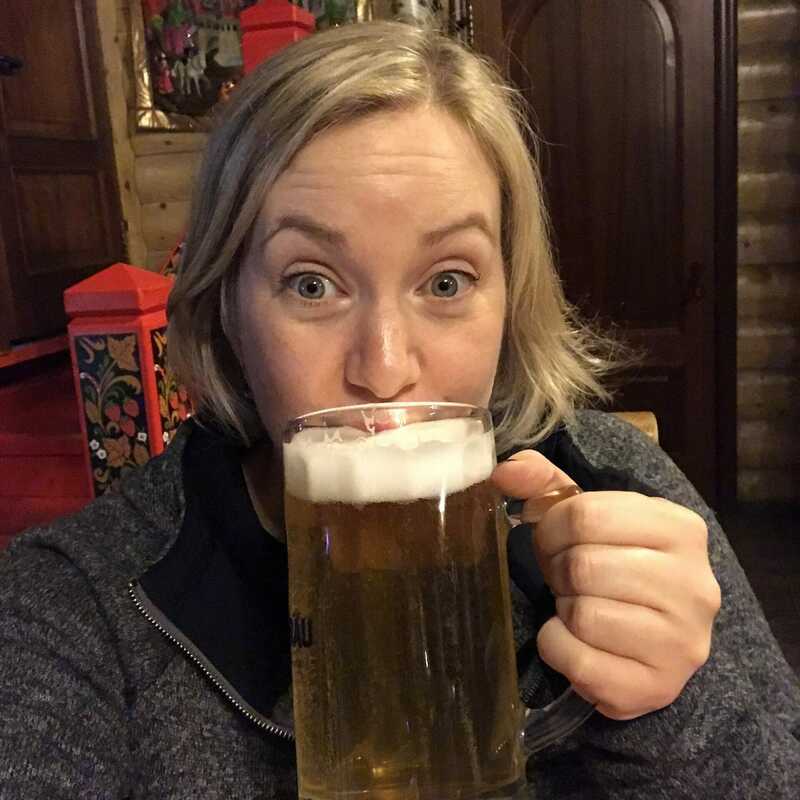 Large beers! Hello country 56! 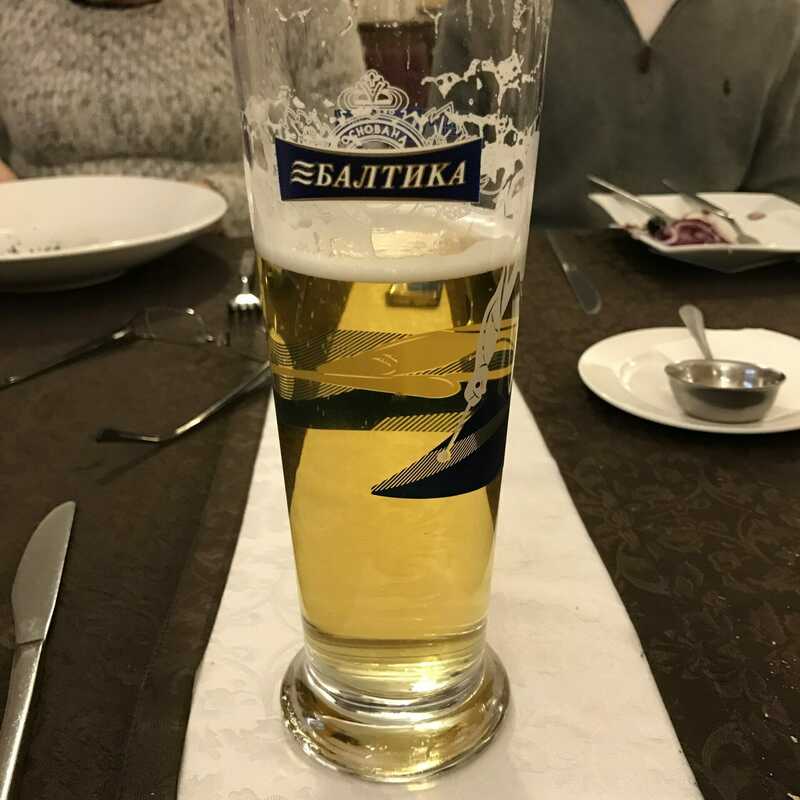 I didn’t drink a lot of beer but, Baltika 7 was the main one available. 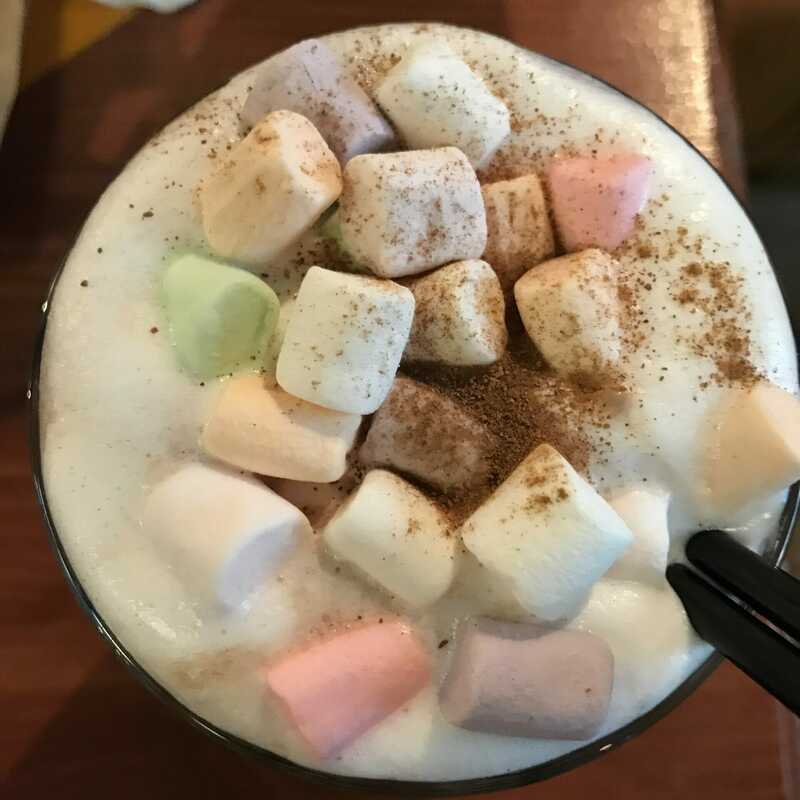 Hot chocolate in St Petersberg, maybe not the best but with the best mini marshmallow topping for sure! There was plenty of mulled wine around at all the Christmas markets too. 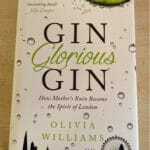 But just in case of more alcohol being required why not have some hot mulled wine?! I didn’t indulge much in Russian wine as I really prefer red wine in the cold and the Russian’s like theirs sweet, rather than dry. 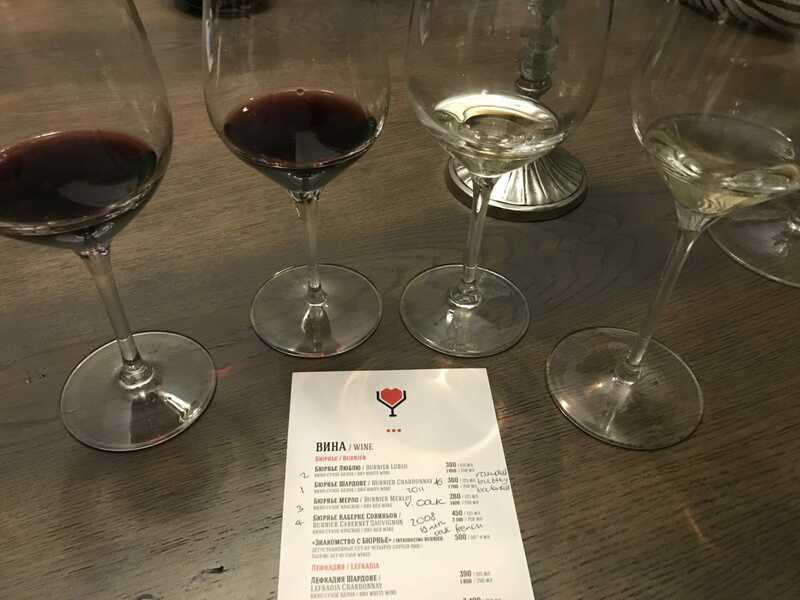 However when we found LED Loves Wine in St Petersberg, this was a chance to try a tasting flight! The Cabernet Sauvignon, 2008, which had been aged for 18 months in French oak – very smooth! 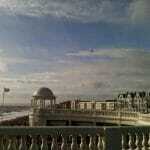 It was definitely a great spot finding this place in St Petersberg! So many pastries!! I wanted to try them all, however not all were the best! Russian pastries usually have ‘meat’ in them, which might mean beef or lamb, I’m not entirely sure… the best were obviously the sweet ones with jam and fruit in them! 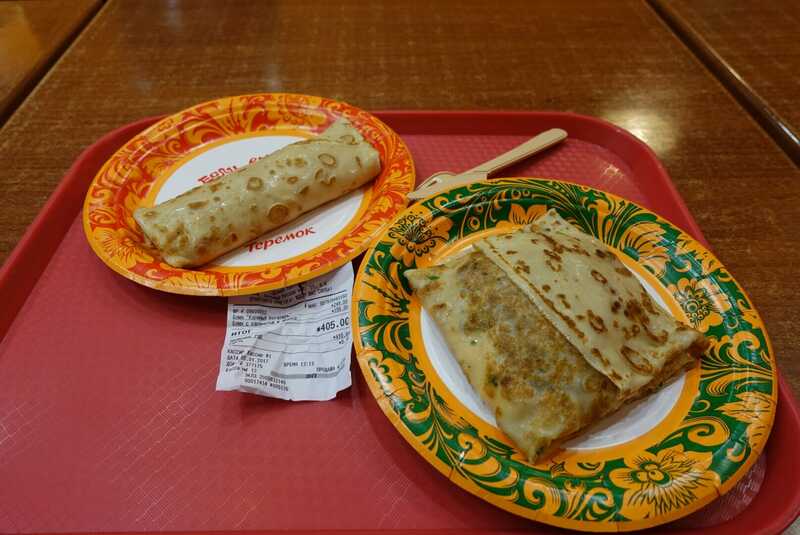 Tepemok is a Russian fast food chain that does a LOT of pancakes. I had the chicken, mushroom and cheese (square one), with the apple and caramel for dessert. 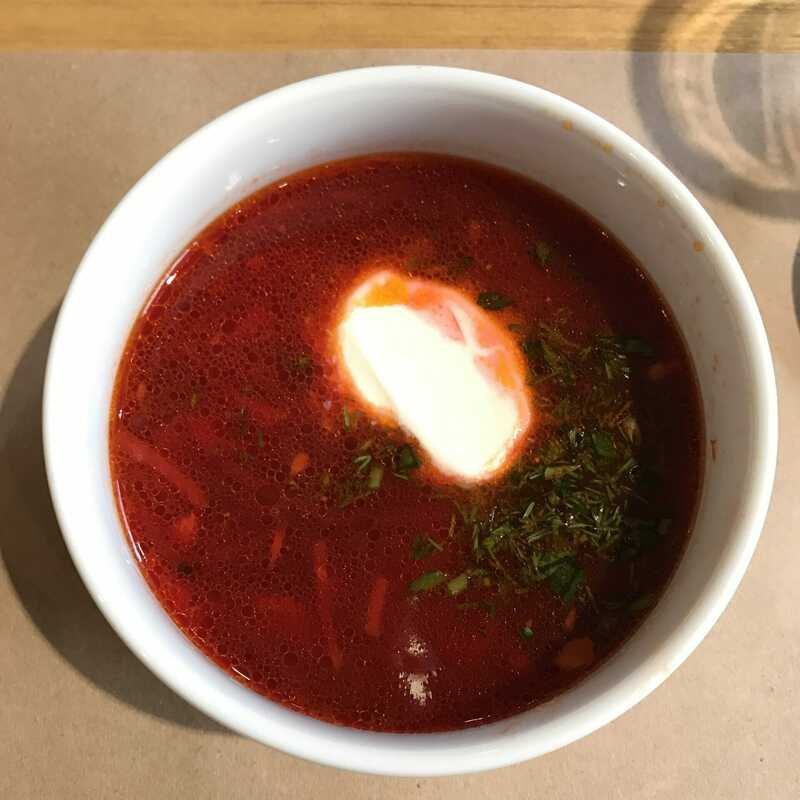 You can’t come to Russia without trying Borscht. This pink soup is made with beetroot and is traditionally served with strips of beef, sour cream and dill garnishing. Beef stroganoff. 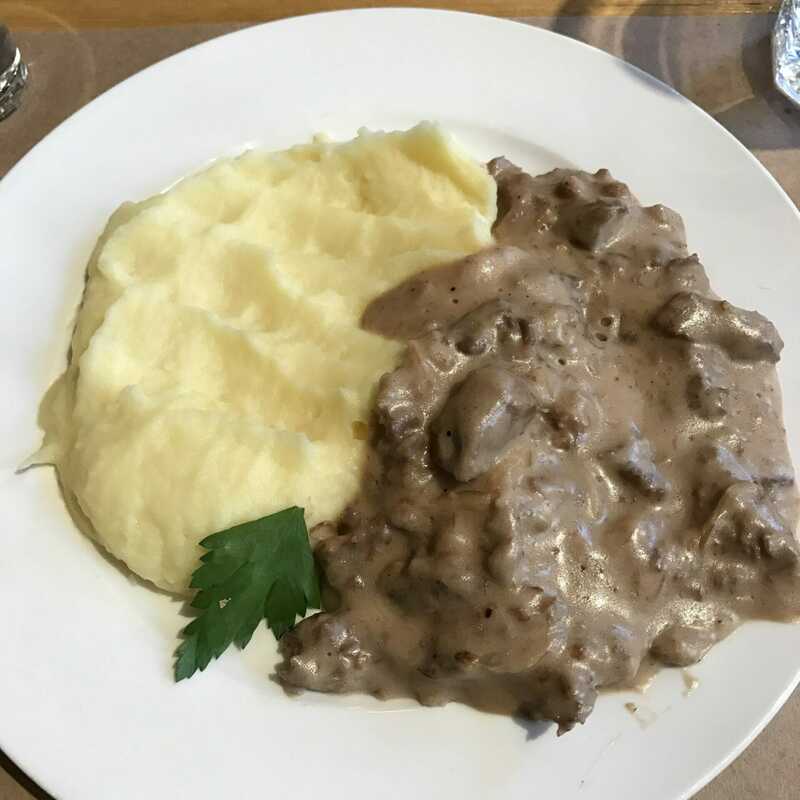 This is sauteed beef with mushrooms and a sour cream sauce, usually served with mash, although I had it with pearl barley and onions in Moscow too. They reckon this dish was created in St Petersberg, although people make it all around the world! Yes I had more pancakes (this was a different day!) This one was served with the traditional jam. 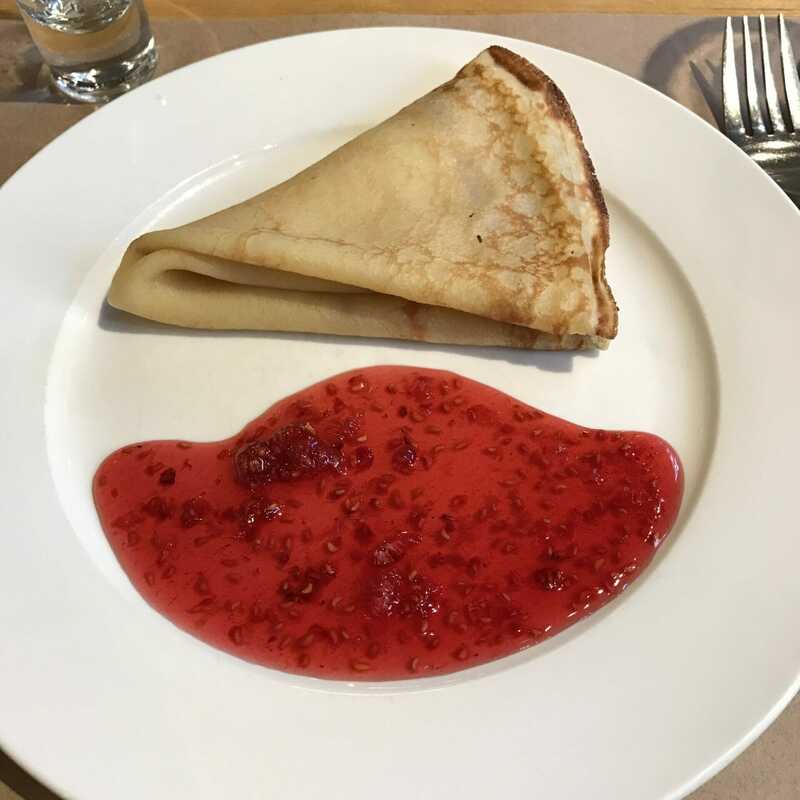 Did you know that Russian’s use jam to sweeten their tea? Jam and pickles are big as a way to preserve fruit and vegetables in the long winters. 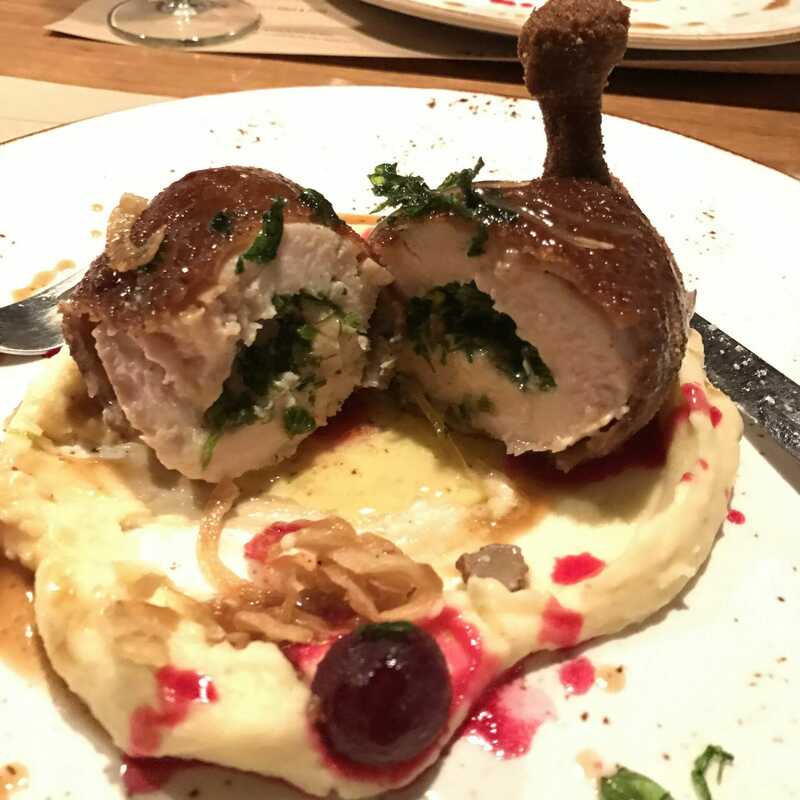 The chicken Kiev we had at Taste&Eat restaurant before the ballet in St Petersberg was a revelation! So prettily presented! 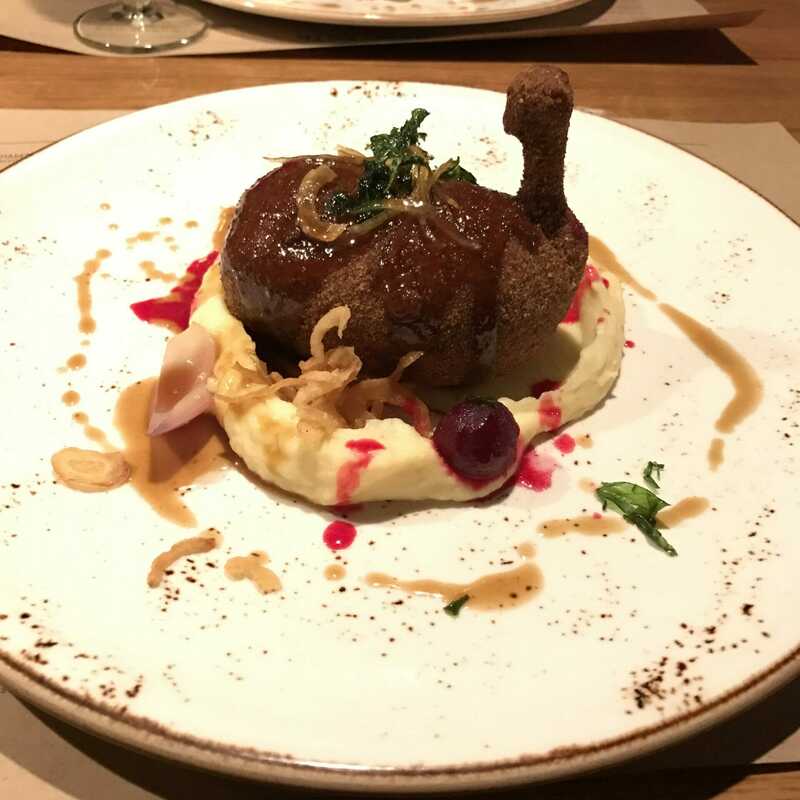 Served with mash, mini beetroots, crispy onions, this chicken Kiev was served on the bone. Inside it was very different to the overpowering garlic butter you get in the UK. The breast was stuffed with a herb butter – think dill and parsley – the better to keep the chicken moist. Very delicious! 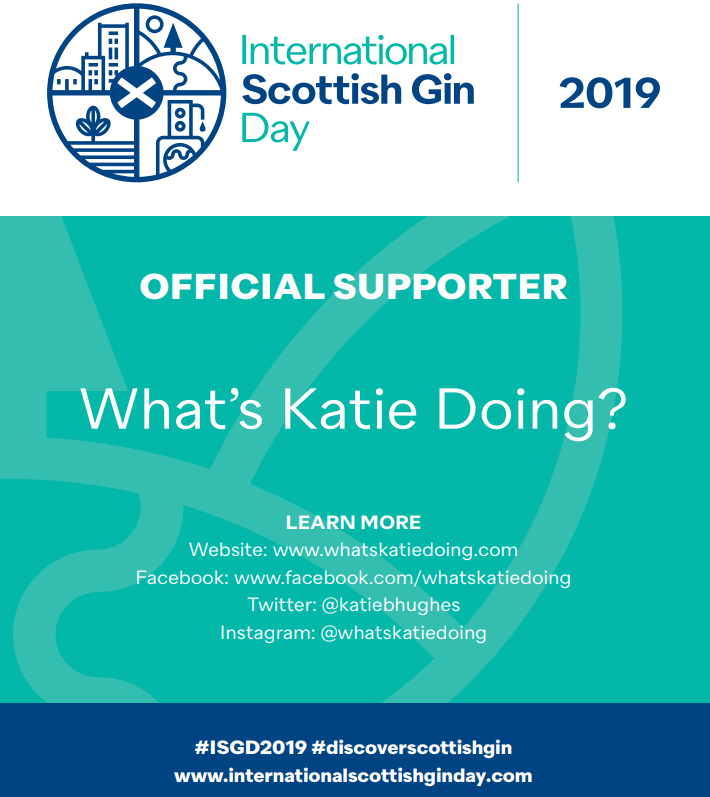 Let’s peak at the inside – see what I mean about the herbs! 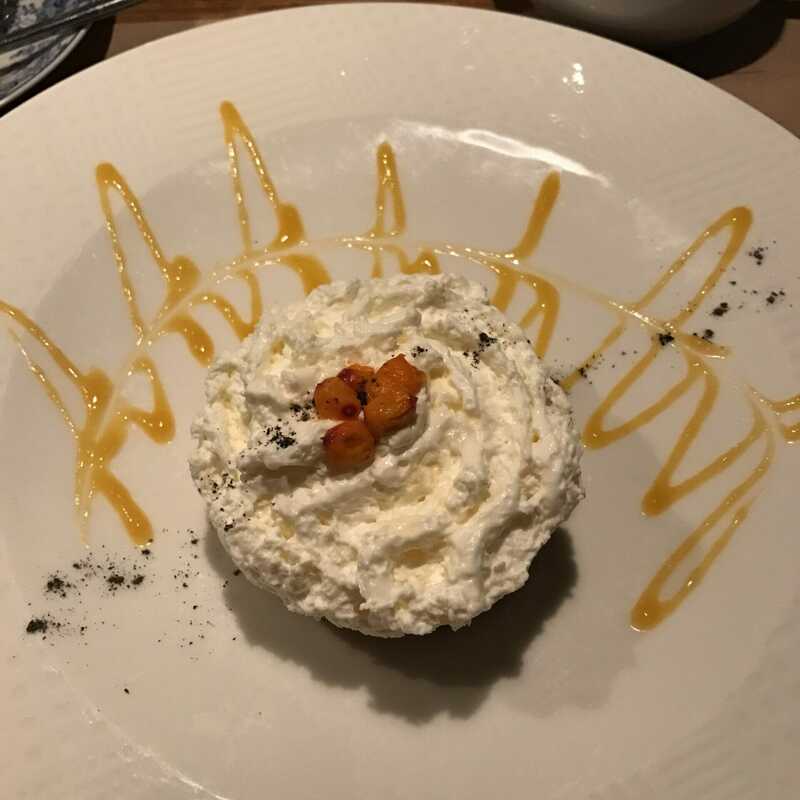 Dessert at Taste&Eat – a kind of banoffee pie, but without the banana. I think the berries on top were rowan berries. 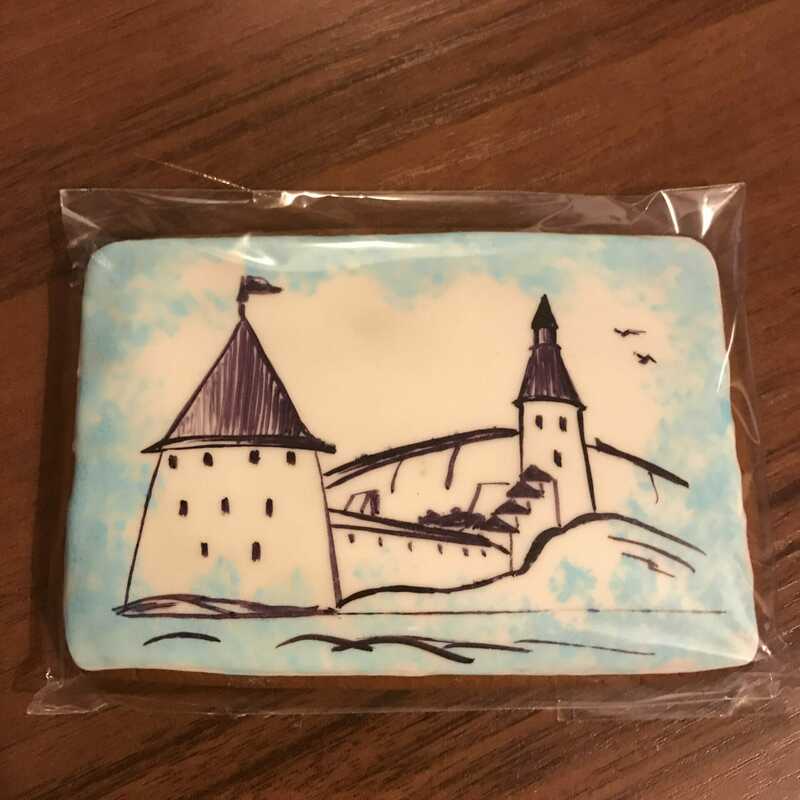 It was certainly very tasty without being too rich. Apricot chicken, served with a fruity sauce, pear and almonds. I also chose a cheese corn bread to go with it, probably not the best choice, but both were very delicious on their own. 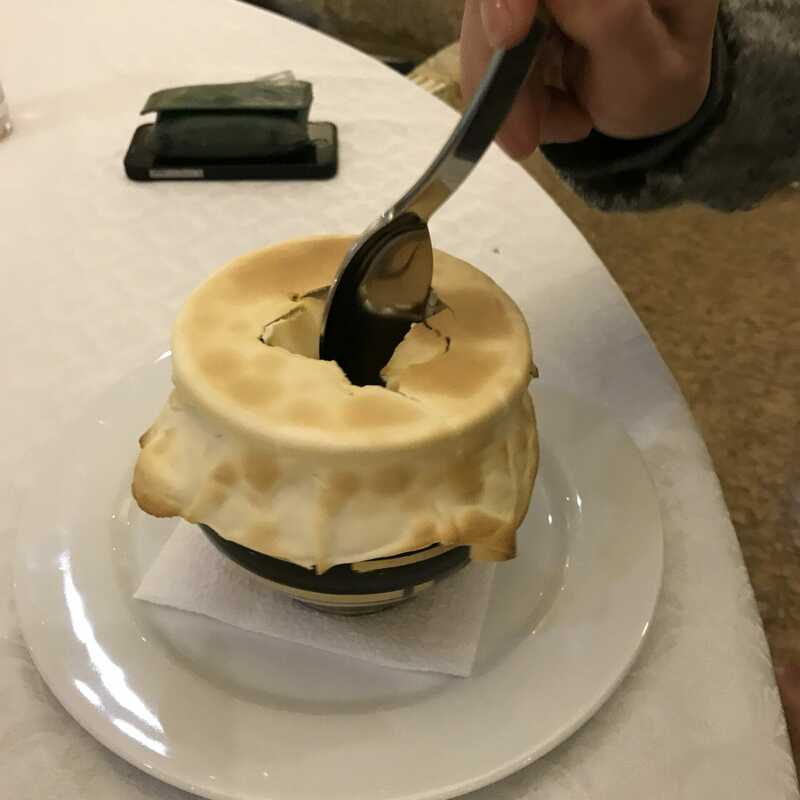 Pot pie! Stew and those kind of meaty slow cooked dishes are big all over Russia and Georgia is no exception. 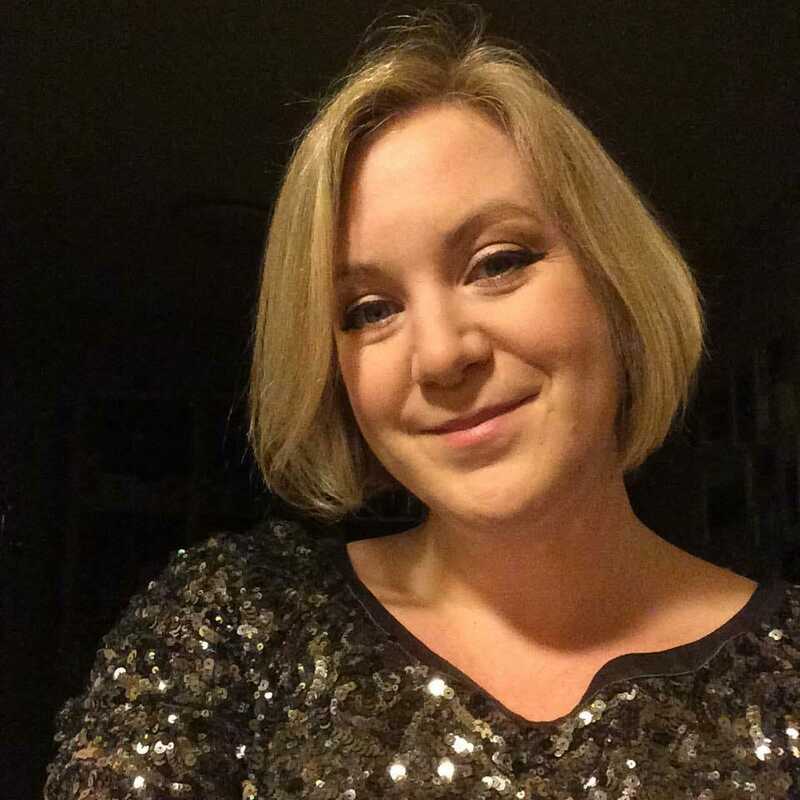 Nicole enjoyed eating the thin ‘cracker like’ top on this lamb stew. Wow. That made me hungry! The pastries, chicken Kiev and hot chocolate looked 👌! 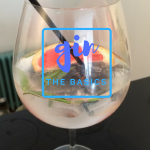 I love that you started with the drinks – I wouldn’t expect anything less! 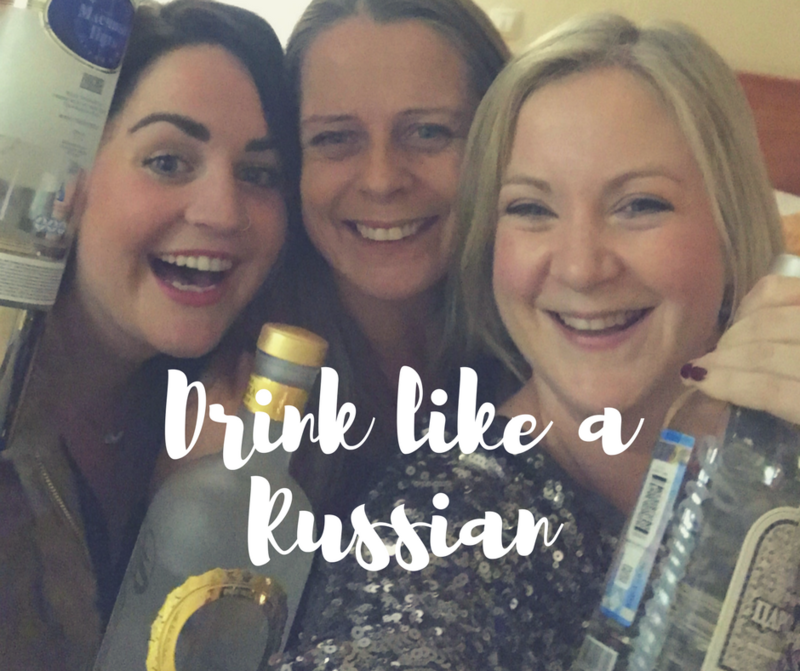 Interesting vodka rules – I’m not sure I could stomach shot after shot….how did you handle it?! The Chicken Kiev looks amazing! I love Pierogi dumplings! 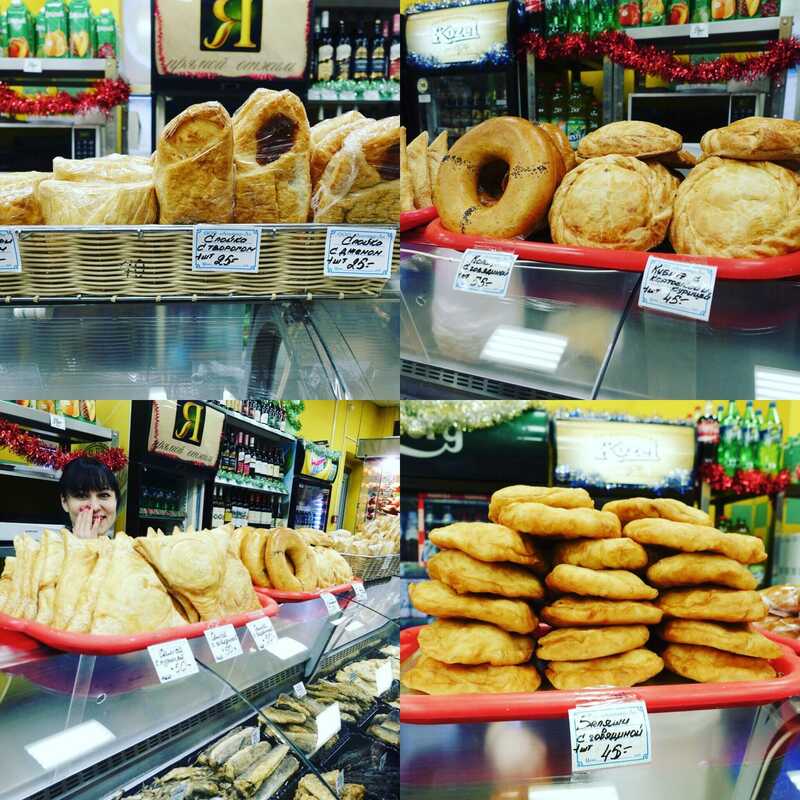 I could eat potato and meat pierogis all day! 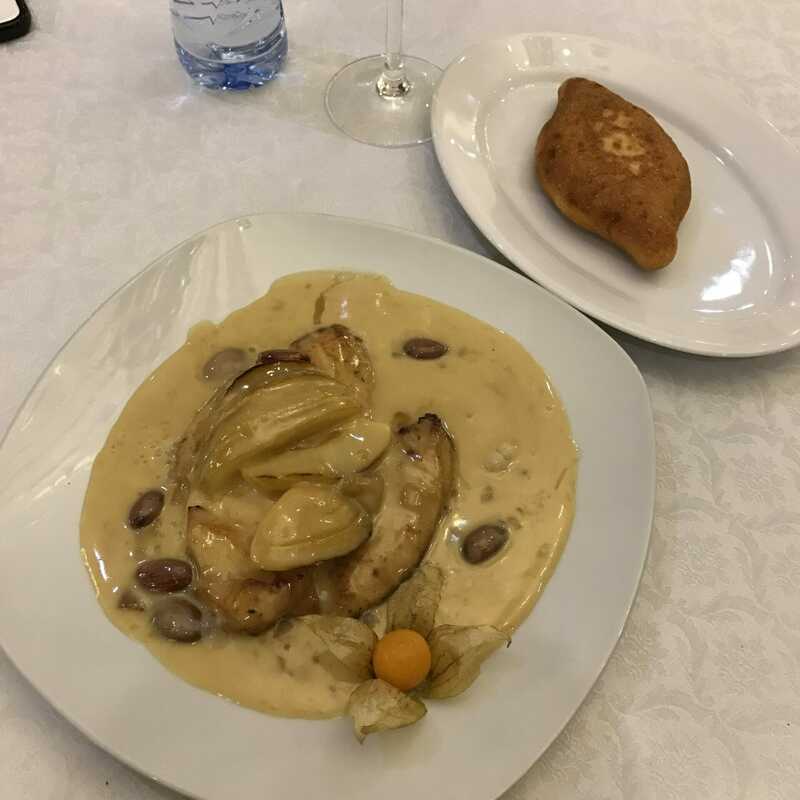 The Kiev was amazing Alaine – dumplings varied in quality depending on where you were, but worth trying!! It’s totally worth the trip Morgan! Ooh yes they were totally excited about the foreigners lol!! That’s so cool Lena! I like seeing what different cultures do!